This power supply is earthed and tested for high-voltage insulation and leakage. Take advantage of three independent DC output voltages and one selectable AC output with this exceptional power supply. 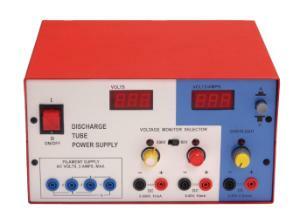 This unit offers DC0–20V, DC0–80V, DC0–500V, and DC1.1–6.6V with different combinations all capable of being used simultaneously.